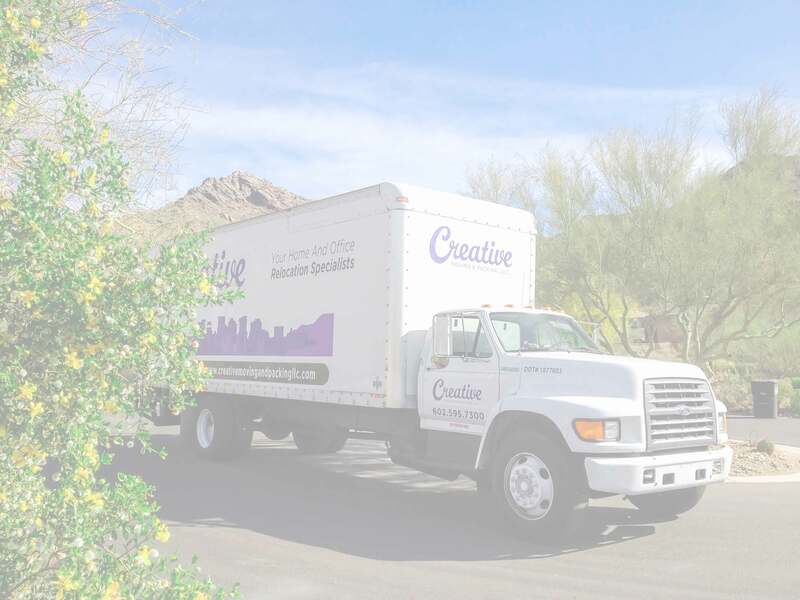 For all local intrastate moving in the state of Arizona. We charge accordingly to an hourly rate and a one time truck fee. The hourly rate is based on the crew size needed for each individual job. A fuel surcharge maybe assessed if distance traveled is over 40 miles from our location. A two hour labor minimum is required. A deposit is needed to reserve our services. Payment is due in full at the end of the move or each day if multiple days are needed for completion. Acceptable payment forms are check, cash, or credit card. Visa, Master card, and Discover are accepted, however American express is not accepted. Any boxes or material for packing is at cost for material used. We guarantee we do not have any hidden fees and our pricing is competitive in regards to the quality service we provide. For more information or questions please contact us at 602.595.7300. Note: We bill on an hourly depending on the size of crew needed and a trip fee depending if one or more trucks are needed for your move. Fuel surcharge is a fee charged when we travel over 40 miles to a location because of fuel and time. Typically within the valley Cave Creek, Anthem, Queen Creek, Gold Canyon, Buckeye, San Tan Valley, Surprise, and Maricopa have a fuel surcharge of between $35.00- $75.00. Prescott, Florence, Flagstaff, Tuscon have a fuel surcharge of $300.00. All long distance interstate moves are based on flat rate based on labor, material, distance being traveled, and space / weight needed in the truck or trucks. We guarantee our prices not to differentiate from quoted price and all of our long distance delivery dates and times are guaranteed. For more information please call 602.595.7300 for an onsite estimate. Acceptable payment forms are cashier check, cash, or credit card. Visa, Master card, and Discover are accepted however American express is not accepted. A deposit is required to reserve services. For payment 50% of total is required upon pick up and remaining 50% is required upon delivery.